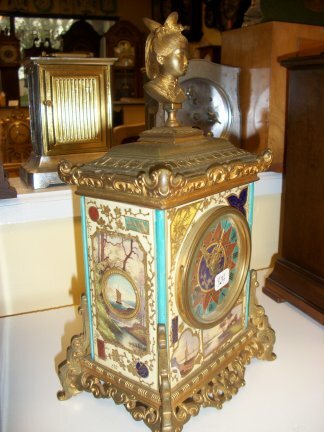 8 DAY MANTLES-839-FRENCH 8 DAY TIME AND STRIKE METAL AND CHINA MANTLE. 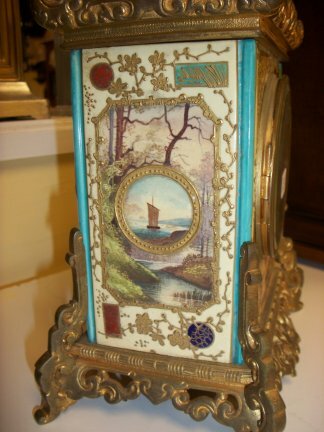 This is a French time and strike combination china and metal frame clock. 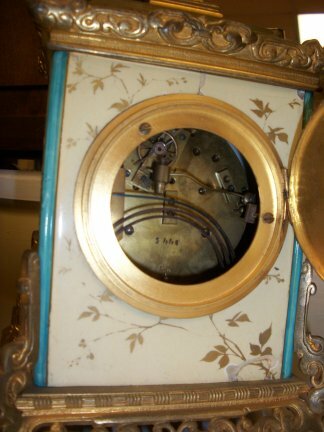 It has a platform escapement and strikes on a gong. 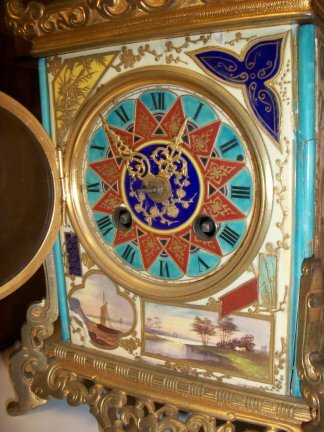 Closer view of clock from the front with the door open. 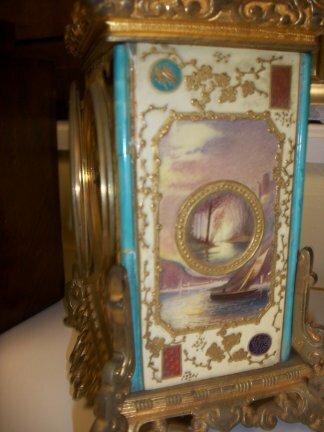 It has a porcelain painted face and the glass in the door id beveled. Left side of the clock. Right side of the clock. Clock at an angle, really nice from any angle. 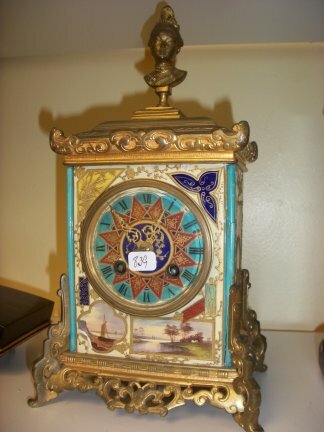 Back of clock with the door open. 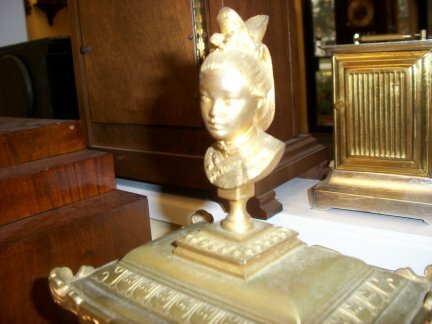 Top view of figure on top of clock.